What's the used Vauxhall Astra hatchback like? Although for many years a hugely popular car, the Vauxhall Astra has never been one to set an enthusiastic driver’s heart on fire. Enter this seventh-generation 2015 version, which carried beneath its handsome skin such a raft of changes over the previous model that everyone who tried it immediately declared it to be a huge improvement in every area. Thanks to a new platform, it’s smaller than the old car externally but bigger inside, with a notably capacious interior. It’s better to drive, too, and lighter. With a wide range of more efficient engines to choose from, and some showroom-friendly and innovative technology inside, it’s not surprising that it’s won praise over the past two years from a broad range of people and even scooped the European Car of the Year Award. Petrol engines range from a 99bhp 1.4-litre unit right up to a 197bhp 1.6-litre that gives the five-door Astra almost hot hatch pace. In between are two sprightly turbocharged 1.4-litre engines of 124bhp and 148bhp respectively and a recently introduced 104bhp three-cylinder 1.0-litre engine that endows the Astra with an impressive blend of performance and economy. Not surprisingly, though, it’s the three 1.6-litre diesel options that are the most economical, with the 134bhp version returning a claimed 72.4mpg and a 109bhp ecoTec model producing a stunning government official figure of 85.6mpg. There’s also a fast and frugal 158bhp twin-turbo version. 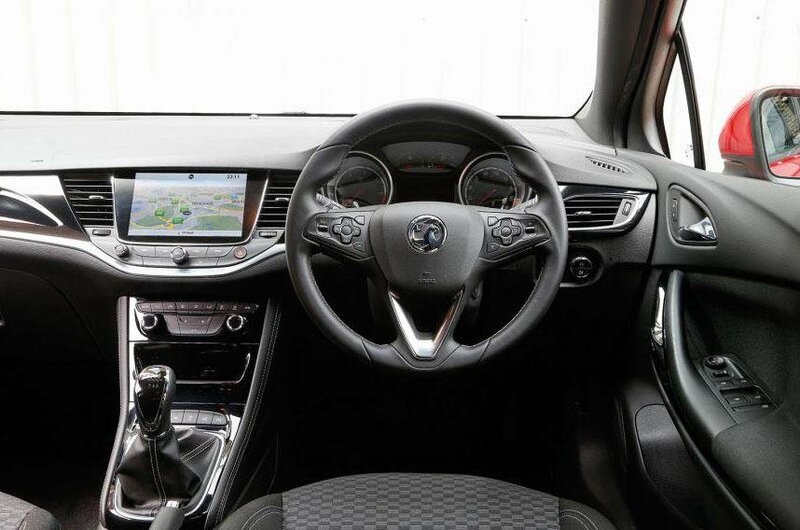 Trims range from the well-equipped entry-level Design, with touchscreen infotainment, Bluetooth and cruise control, through Tech Line (aimed at the business user) and Energy, up to SRi, a semi-sporting but handsomely equipped trim. There is one trim above that, Elite, which adds luxuries including electrically folding mirrors, dual-zone climate control and heated front seats. If you want sat-nav, Vauxhall offers a Nav version of most of the trims listed, so it’s worth trying to find one of those. 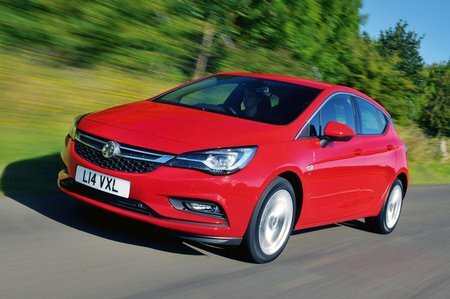 Inside, in a bid to pitch it more squarely against its chief rivals, the Volkswagen Golf and Ford Focus, the Astra has a more upmarket feel than its predecessors, with technology that includes OnStar, a useful customer support and monitoring system that comes with its own 4G wi-fi hotspot. The infotainment system also includes Apple CarPlay and Android Auto. As you would expect from any Vauxhall, there are many trim levels to choose from, ranging from the well equipped to the very nearly sumptuous. On the road, the turbocharged three-cylinder 104bhp 1.0-litre unit is a smooth and flexible performer that also offers reasonable economy. The two more powerful 1.4-litre turbocharged four-cylinder engines both offer impressive performance, while the 197bhp 1.6-litre gives storming speed but, as a result, its economy inevitably suffers. Of the three 1.6-litre diesels, the 109bhp version offers outstanding claimed economy, with up to 85.6mpg in one trim. The 134bhp has the best blend of speed and efficiency, and the 158bhp twin-turbo model offers the most entertaining performance. All are refined under normal use, although there is a hint of gruffness around town and when the engines are cold. In corners, the Astra is safe and secure, and more pleasurable to drive than any previous version. The ride has a jiggly quality around town and over sharp road irregularities, but soon settles down at higher speeds to prove comfortable. Space in the interior is fine up front, even for the very tall, and there's a very generous amount of room in the back for two, three at a pinch for shorter journeys, with plenty of leg and head room. The boot is easily accessible and, at 370 litres, of a good size and useful shape. However, one or two rivals have bigger boots. All told, the Astra is a far better all-rounder than it’s ever been and, with plenty now becoming available on the used car market, it’s an excellent second-hand proposition.